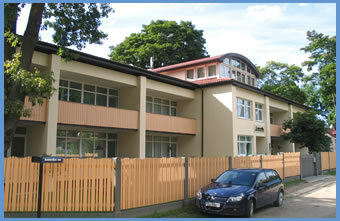 Jurmala Hotel CONCORDIA is located on the Baltic Sea coast 20 min. journey from Riga Center, in the noble Riga suburb- the dreamy spa resort Jurmala. 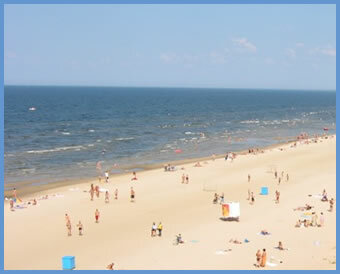 Jurmala was always the most popular health and holiday resort of Latvia and Baltic. Magnificent Jurmala beaches from the white sand in the framing of golden dunes and age-long pine trees, the Jurmala wooden architecture of the charming century houses, Jurmala fresh and pure sea air, warm breeze and silent waves on the sea will encourage you to fall in love with this city. And due to mild climate, the sources of the mineral water, healing mud and large experience in the spa treatment you will restore your forces after hard working days and want to return to Jurmala again and again! Jurmala Hotel CONCORDIA is located in the quiet and calm centre of Jurmala, on the shore of the river Lielupe in Mayori, in 10 min. walking to the Jurmala broadway - the Jomas street and 15 min. walking to the Jurmala's Baltic Sea Beach. In the hotel there are 14 modern and comfortable rooms, among them: nine 1-room standard Double Rooms, four 2-room Suites and one apartments - Penthouse. Also in the there are sauna, parking lot, the place for leisure and barbecue on the fresh air. In the hotel you may connect to Internet. Each room in the hotel is decorated in the modern style and equipped by built-in kitchen, refrigerator, TV and SAT TV, bathroom, shower and WC, wide balcony. Each room in the hotel is connected to fire-alarm and ventilation systems. Also our hotel has set up individual heating system. By wishes of our guests, especially from south countries, in chilly days we turn on the heating and it's very warm in the hotel rooms. In our cosy Jurmala Hotel CONCORDIA we have created all conditions for the comfortable and safe leisure of our guests. Convenient location of the hotel in the silent center of the holiday-town Jurmala creates fine conditions for active vacation, and fresh sea air, pine parks, calm water of river Lielupe, the golden beaches and soft sun will give you excellent mood and splendid relaxation! In our hotel "CONCORDIA" you will meet friendly and pleasant atmosphere, hotel's nice style and design, modern facilities, high level of service and comfortable hotel rooms for the best small prices. Enjoy your stay in Jurmala with Hotel «CONCORDIA»!